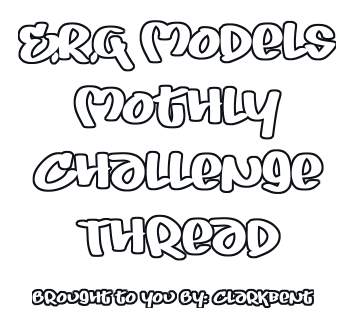 The monthly challenge is a monthly activity that welcomes every E.R.G. Model to participate and have fun in. Memebrs get to sign up to participate. After the sign ups have ended the models who signed up are put into teams of 4-6 models. Each team is given a title based on the months theme. Each team is given a Leader who is in charge of starting a thread for their team to use to coordinate the outfits they will wear, the time and date of shoot and what type of image they will produce. The challeneg is to help every model learn to work together and to show us what type of skills each model has. All models who sign up are required to first check the dates of the challenge and be sure they have availabilty during those days. You are welcome to post your time zone so we can put you in teams with ppl of the same time zone for easier coordination of the challenge. Each model must be present at the shoot. No one is allowed to edit someone into an image if they were not able to make the shoot. Someone will be monitoring your progression during the challenge and we will know if you try to cheat. Cheaters will be disqualified and a fine of 500 credits will be charged. You must stick to your theme and work together as a group. You are not allowed to read other teams threads to try to sneak ideas. Work with your team and try to be as original and unique as possible. And lastly, your image must be edited by someone on your team and must be no larger then 550 x 550 in size. Please make every team members name visible on your image.